16265 N Lakeside Ln, Nine Mile Falls, WA.| MLS# 201913359 | Cooper Realty Services (509) 599-1111 | Spokane WA Real Estate | Contact us to request more information about our Homes for Sale in the Spokane WA area. Do not miss your chance to own this house located in Lakeside Estates gated community! 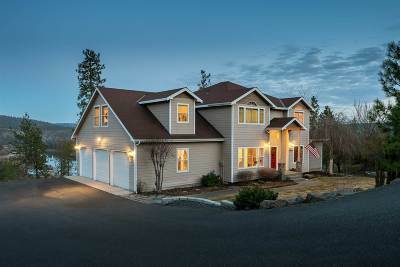 Absolutely immaculate 6 bed, 4 bath 4800+ sq ft house with stunning views of Long Lake! Main floor living, Stainless Steel, cathedral ceilings, floor to ceiling windows, cherry hardwood, wet bar in the basement entertaining area, workshop, access to Long Lake available through Suncrest Park Association including boat slips, beach, bath house, landscaped backyard and so many more features. CLICK ON THE 3D VIRTUAL TOUR!! !